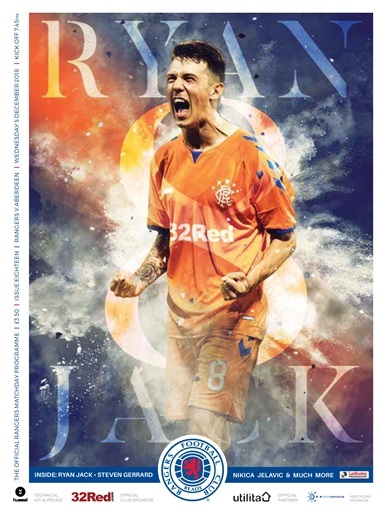 Tonight's league programme features an exclusive interview with midfielder Ryan Jack, as well as Steven Gerrard's pre-match notes and James Tavernier's Captains Column. There is also a special 8-page interview with fan favourite Nikica Jelavic. Regular features include: Where Are They Now? Jamie Ness, They Played at Ibrox, David Mason, Classic Kits and On The Spot with Joe Worrall.